kushwaha is an agricultural kshatriya hindu caste of India . 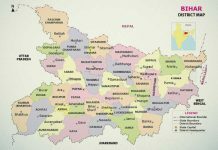 Kushwaha caste is found in large numbers in Uttar Pradesh, Bihar and Madhya Pradesh as well as in Nepal and Mauritius. They claim descent from Shri Kusha, the eldest son of Shri Rama. Kushwaha are locally called Koiri or Koiry (Bihar), Kashi or Kachi (Around Varanasi and MP), Maurya (Uttar Pradesh), Shakya (Uttar Pradesh and Nepal) as well as bhagirathi and sagarvanshi (Saini”Sainya”) or Gehlaut (Western Uttar Pradesh). The Kuchwaha (also spelled as Kachavāhā,Kachawaha,Kacchavahas, Kachhawa, Kuchhwaha,Kachhawaha,Kushwaha, & Keshwala including Kacchapghata, Kakutstha, and Kurma) are a Suryavanshi Kshatriya clan who ruled a number of kingdoms and princely states in India such as Alwar, Maihar, Talcher, while the largest kingdom was Jaipur (Jainagara) which was founded by Maharaja Sawai Jai Singh II in 1727. The Maharaja of Jaipur is regarded as the head of the extended Kachwaha clan. Lord Sri Rama (center) with wife Sita, brother– Lakshmana and devotee Hanuman. Rama and Lakshmana are always shown to be ready for battle, with bow and arrow, as it is their Kshatriya dharma to fight. Rama was from Suryavanshi lineage. The Kachhawas belong to the Suryavanshi lineage, which claims descent from the Surya (Sun Dynasty) or Suryavansha of the ancient Kshatriyas.They are descent from Raghav (Raghuvanshi) as they claim descent from Kusha eldest of the twin sons of Rama, belongs to Raghav (Raghuvanshi) clan, hero of the Ramayana, to whom patrilineal descent from Surya is in turn ascribed. Indeed, the name Kachawaha is held by many to be a patronymic derived from the name “Kusha”. However, it has been suggested that Kachwaha is a diminutive of the Sanskrit conjoint word ‘Kachhahap-ghata’ or ‘Tortoise-killer’; Tortoise in Sanskrit being Kashyapa, although there may be several connotations for the interpretation of these terms. According to Vishnu Purana, bardic chronicles and popular tradition; Sumitra was the last king of this dynasty in Ayodhya. In the fourth century BC Mahapadma Nanda of Nanda Dynasty included Ayodhya in his empire and Kushwahas were forced to leave. 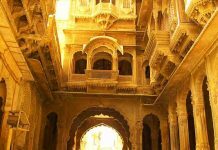 Kurma was son of Sumitra thus migrated from their parental abode and established them self at the bank of the river son, where they constructed a fort called the Rohtas (Rahatas) fort. A good attempt to join all kushwahas togrther. why the kushwaha are not say thakur. We are Suryavanshi Kshatriya not Rajputs. Thakur means God or Lord. Rajputs were sons of kings and used Thakur word for themselves. They consider themselves, God of public. While Kshatriya are warrior caste and we used Devpriya (Devnampiya) word for ourselves meaning ‘Beloved of God’ for example the greatest emperor of India, Emperor Devnampiya Ashok Maurya and his successors. We consider ourselves as savior of Public and beloved of God. ruchir krishna ji i have a question or must say a confusion….as u say we kachhawaha,s are kashitrya and we are diffrent from rajputs thakur…..thaen how to rajput claim that kachwaha kingdom belongs to rajput vansh . here i give you some link . there are so many more site where you can see that rajputs claim that kachwahas kingdom belongs to there predecessor. This question really comes to the mind of everyone who sees our present condition. Anybody can doubt on our ancestry, if our present is bad. There are many historical evidence and facts for our suryavanshi lineage however our origin from Kush is based on Hindu mythology. There are thousands of ancient Books including Mahavansh which tells us that Shakya are Suryavanshi and Maurya Kshatriya of Pipalivan are separated part of Shakya Kshatriya. The Mahabharat era name of Shakya, Maurya etc was Kachchha, Kachchhap, Kurm or Kachhi. Emperor Ashok Maurya used signs on his memorials for describing his origin. These are Sun (Suryavansh), Lion (Kshatriya), Peacock (Maurya), Shak tree (Shakya), Bull (Vrishal), Tortoise (Kachchha), Dharmachakra (Motion of Dharma) etc. In Mahabharat war, Kachchhap caste took part. In Ramayana, there is description of Kachchha kingdom. Laxman’s wife’s maternal uncles belong to Kachchha Kingdom. We should try our best to improve our socioeconomic condition and our doubt will get cleared. Try to learn books of history on ancient India of any good publication, You will get answer yourself. Shakyamuni Buddha’s words were “App Dipo Bhav” meaning ‘be your lamp for yourself’. wee try edit Wikipedia and updated new information but its wont let us update content . it dose’t matter that now we need believe it is more important and develop ourself .